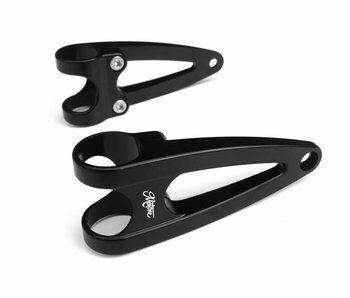 Home / Headlight Brackets (solid aluminum) type "Contrast"
Headlight Brackets (solid aluminum) type "Contrast"
Suitable for all bikes with 41mm fork tubes/stanchions. 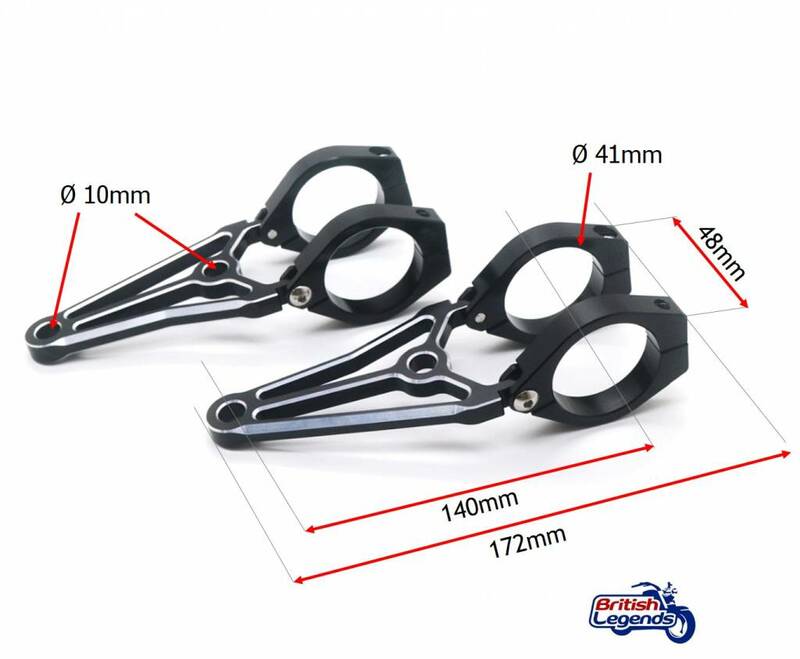 Not suitable for Thruxton R with inverted fork. 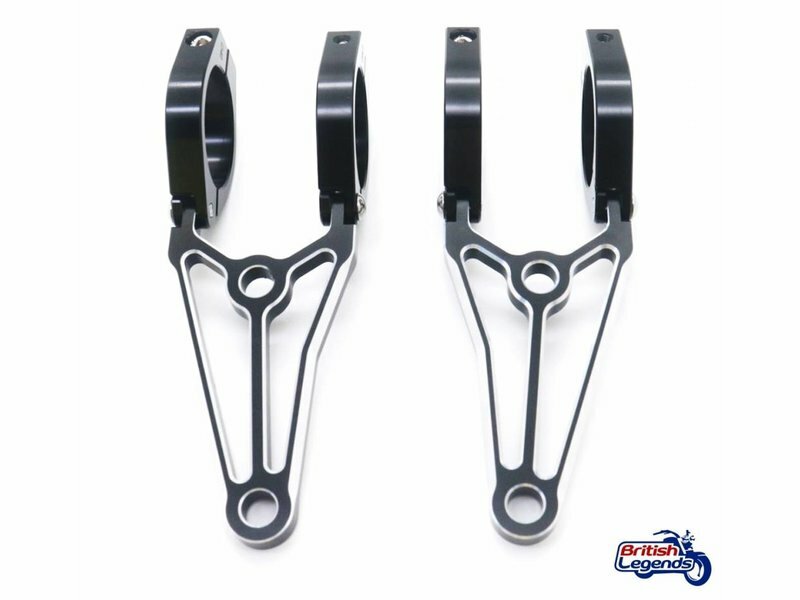 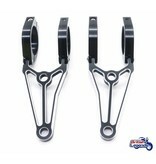 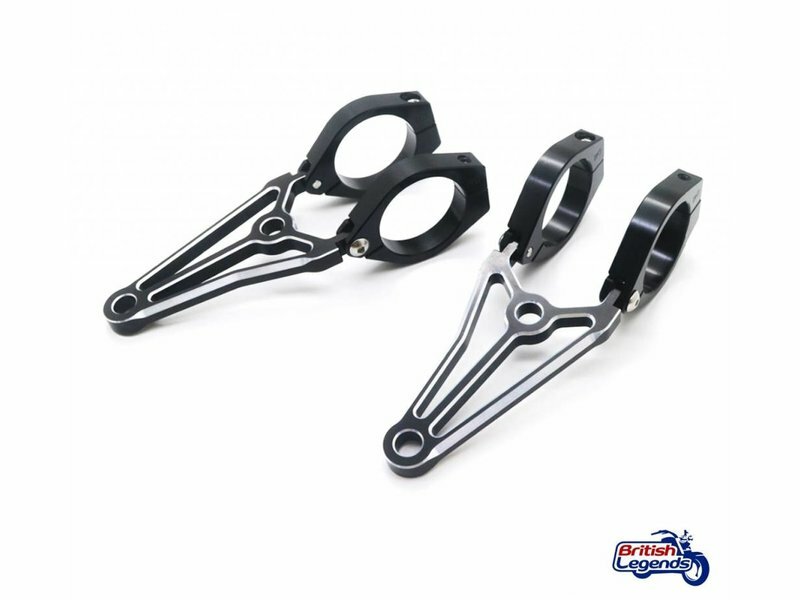 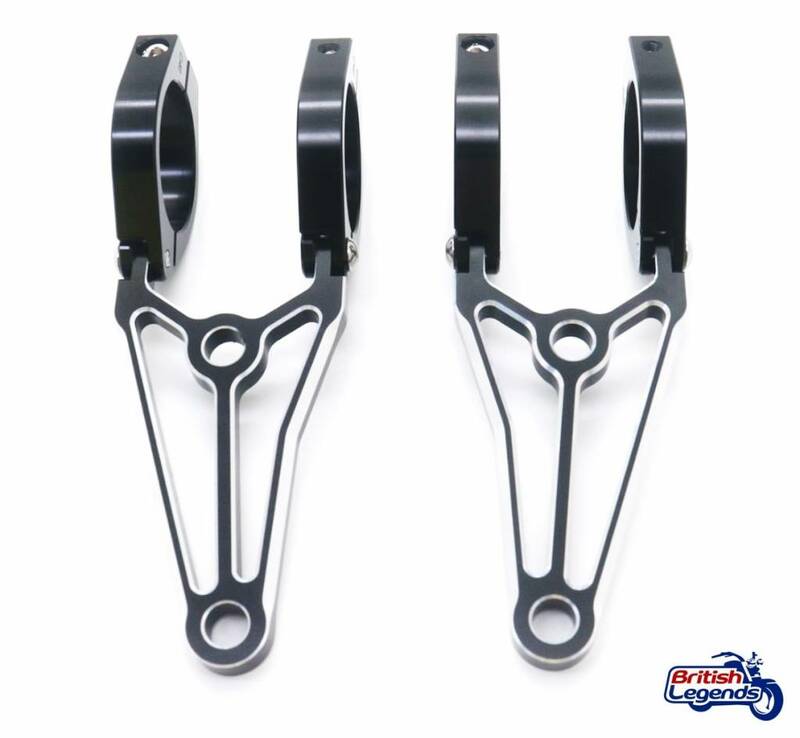 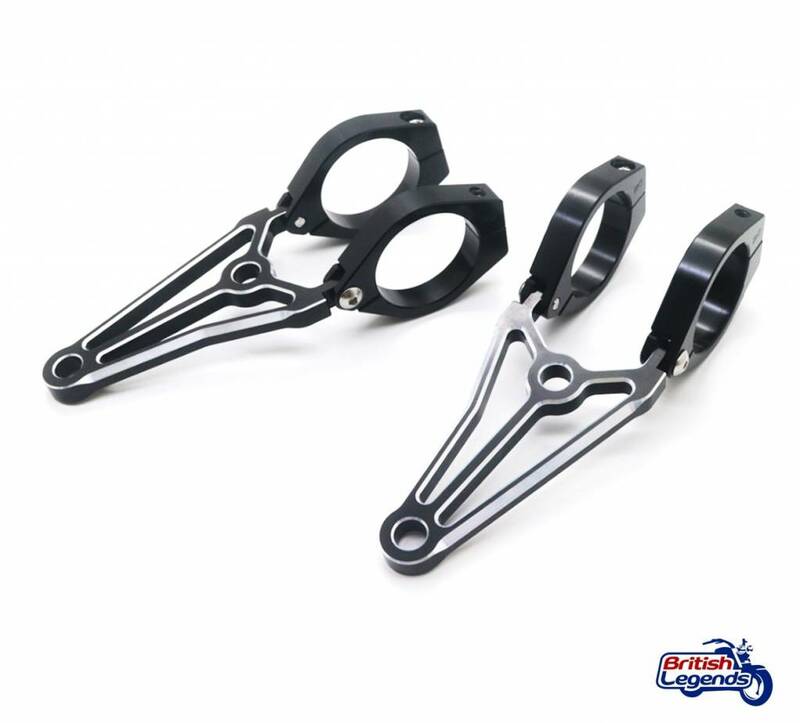 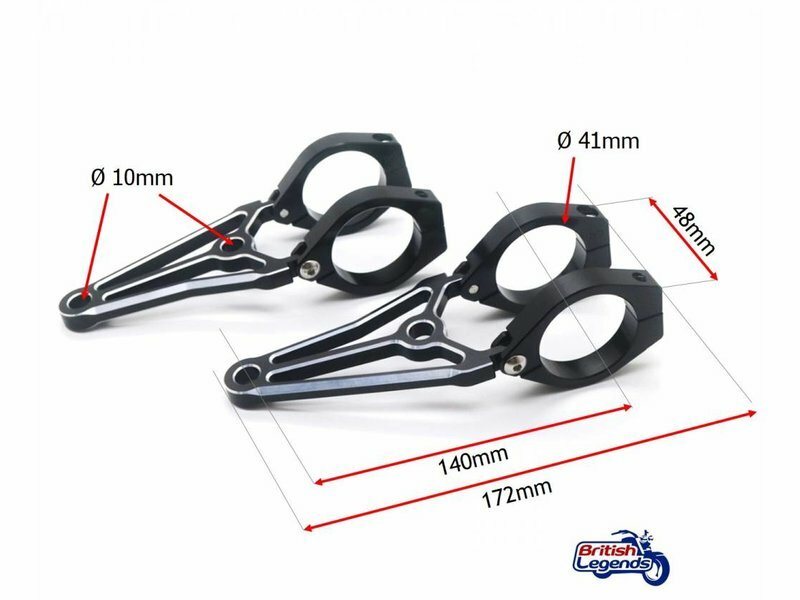 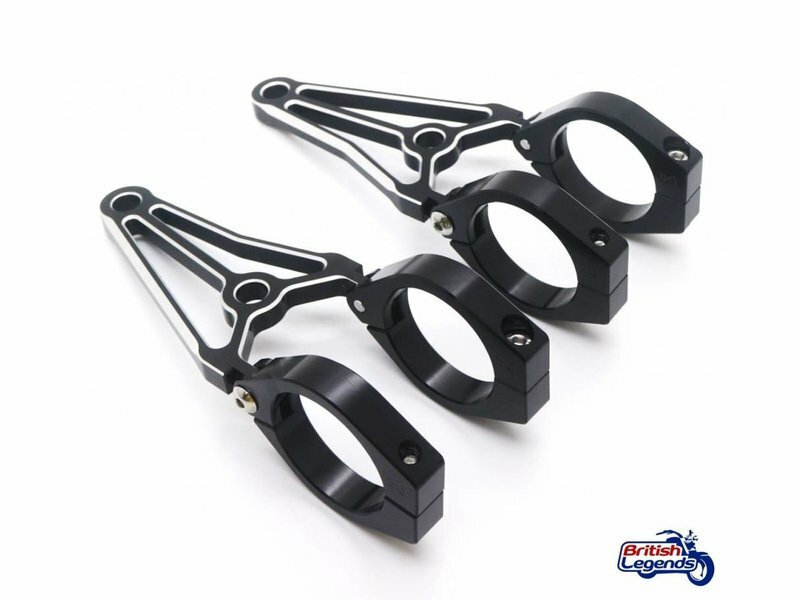 Pair of headlight brackets that give your bike a distinguished, technical and sporty look. 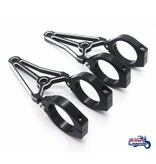 Solid aluminum construction, detailed on CNC machine. 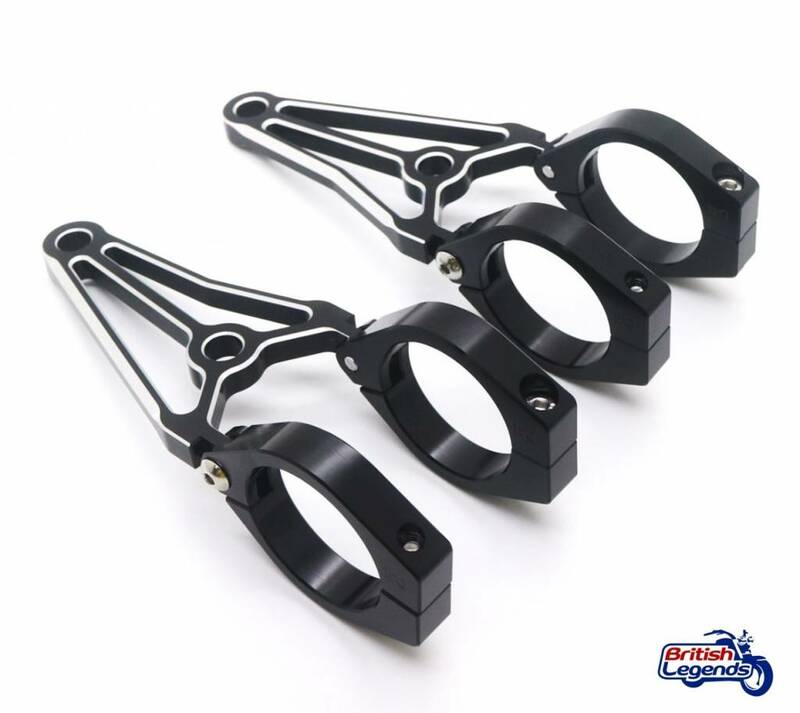 Finished in satin black by anodization. 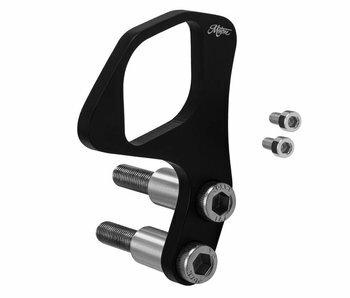 Include fitting places for indicator (on 8mm or 10mm threaded bar). 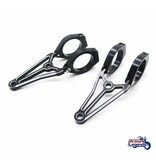 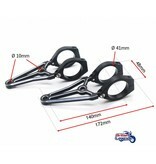 No need to lower/remove the fork tubes, the clamps can simply be opened and wrapped around the fork tubes. 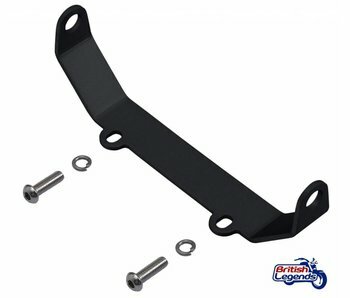 However some models will require you to lower the fork tubes to remove the original headlight mounts. 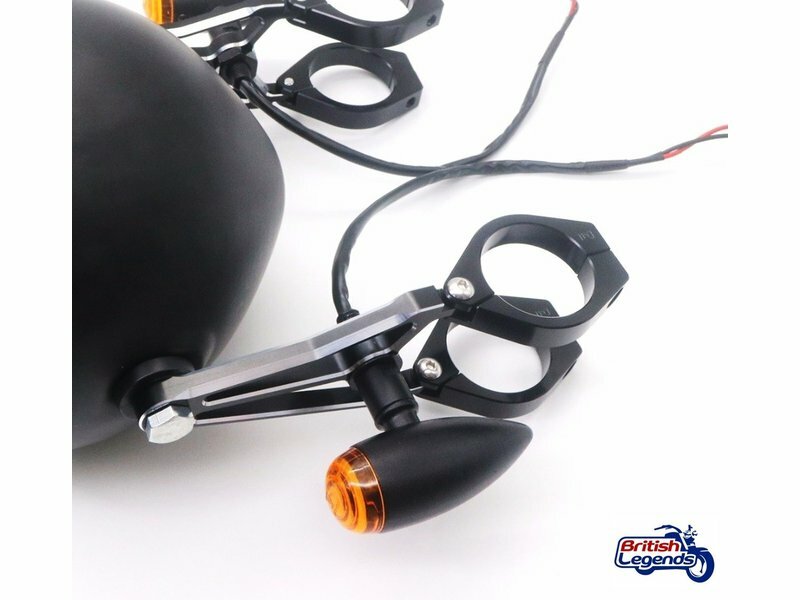 Requires the re-location of the indicators on Bonneville, see here.